Hello and happy Thursday! 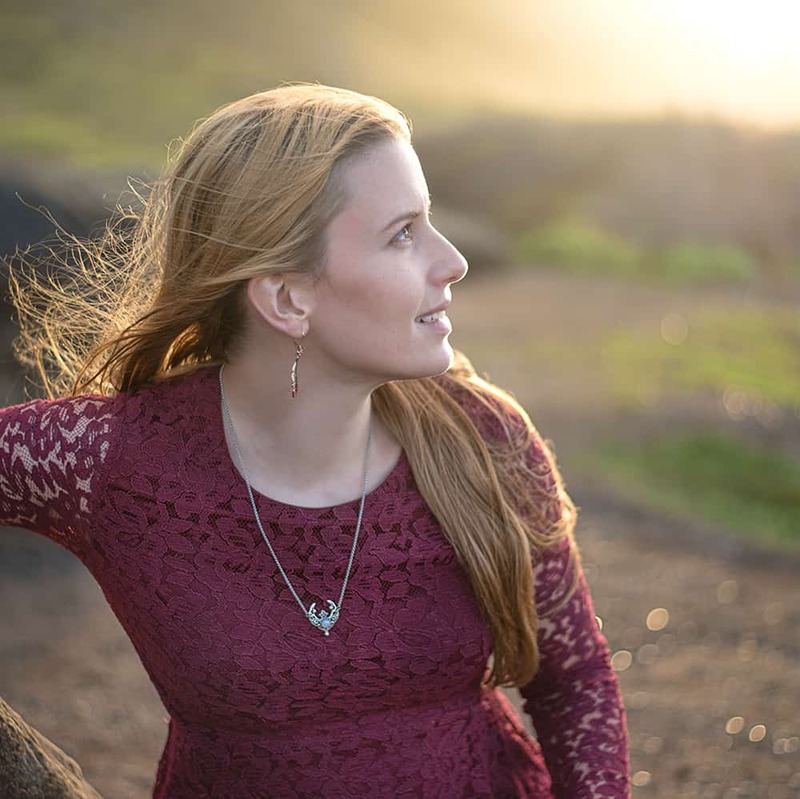 In last week’s necklace tutorial, I mentioned that I’d also made the belt worn in the photo. Well, today I’m sharing a super simple DIY belt tutorial to show exactly how I did it! 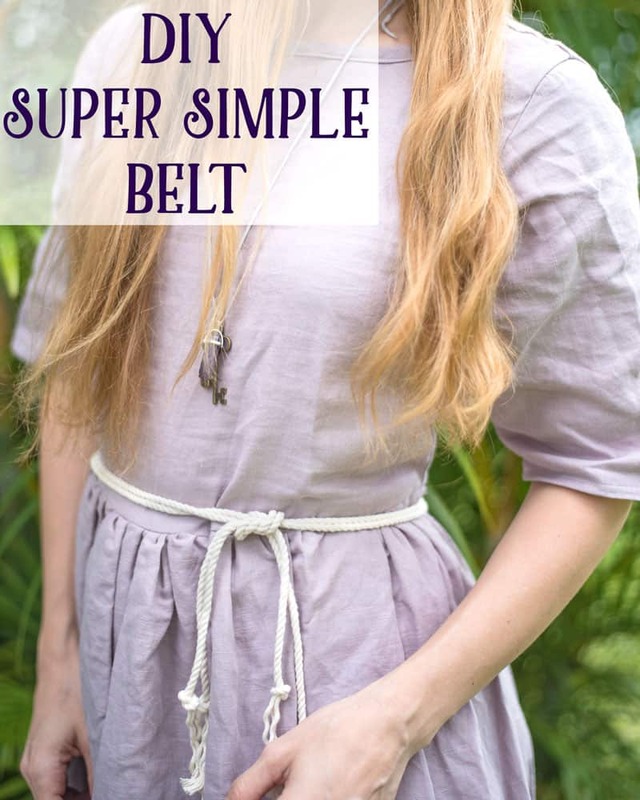 A belt like this is great for a casual, natural dress like the linen one I just made or something nautical/summery, and it only takes a couple minutes to make. 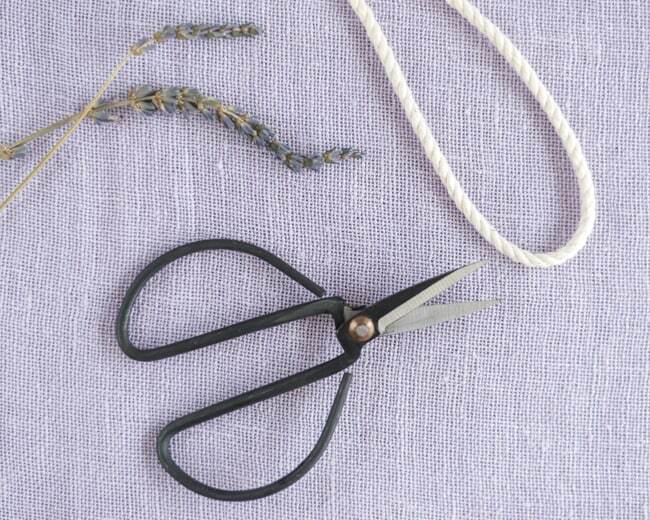 You don’t need much at all to make this belt, just some narrow rope or cording and a pair of scissors. 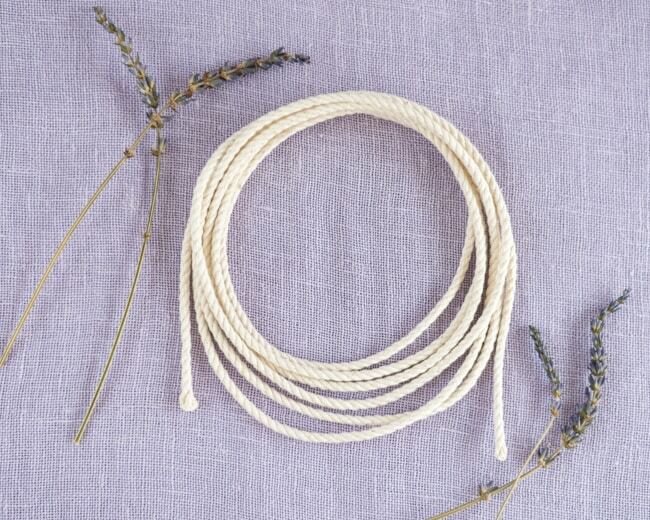 I used 1/8″ cotton rope I had on hand, but you could also use decorative cording like what you find in the trim section of fabric and craft stores. 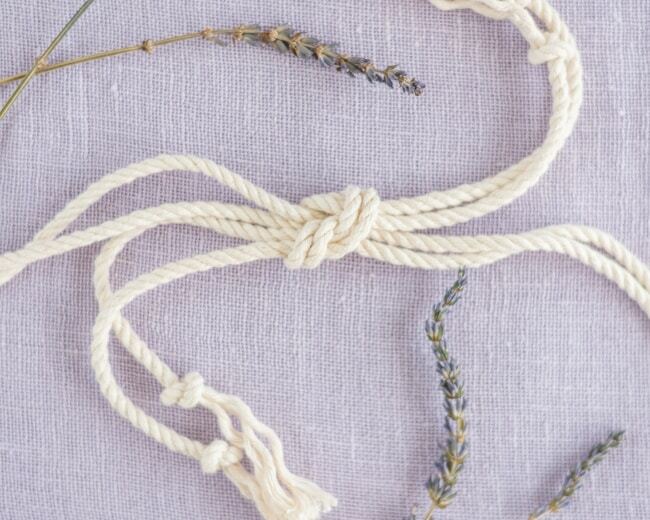 For a more rustic look, you could also go with hemp or jute twine. Grab your rope/cord and wrap it around yourself where you want to wear your belt. Adjust the length so that you like however much is hanging down, and then add a couple of inches for a knot. Cut double this measured length of rope. If you have smaller packages of cord, like you frequently find at craft stores, you can always just use two separate pieces because we’re about to cut the long piece in half, anyway! 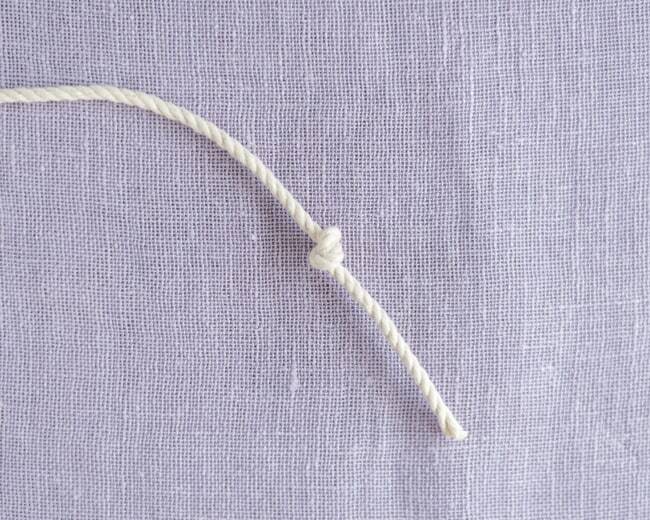 Find the middle of your rope’s length and cut it in half. 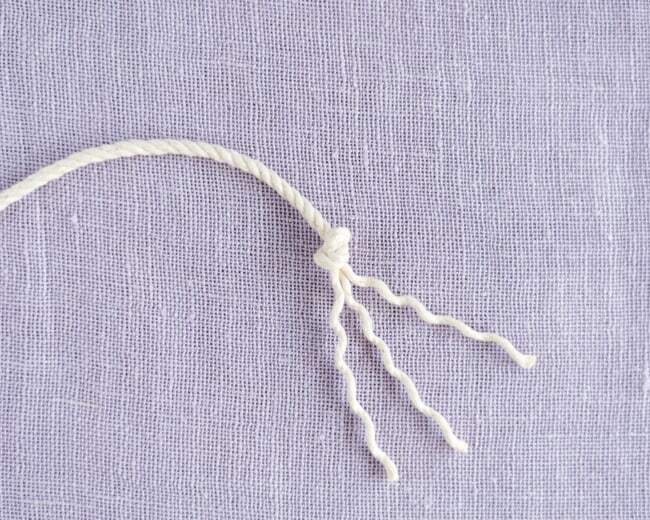 Tie a simple knot about 2″ away from each end of the rope (so you should tie a total of four knots!). 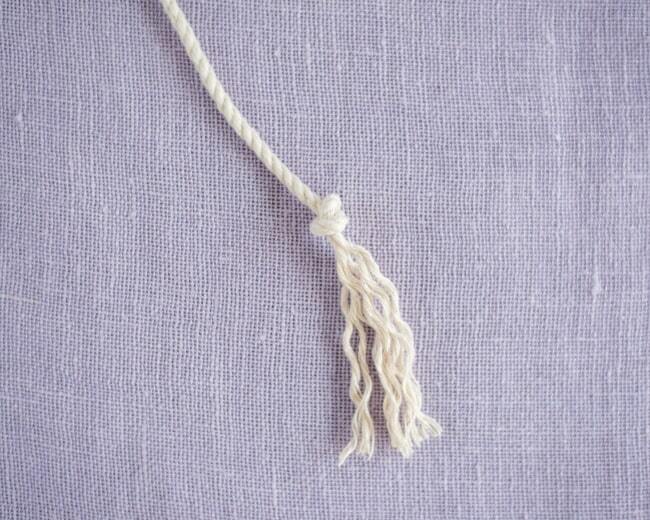 …Then unravel the rope even more to make a cute tassel. 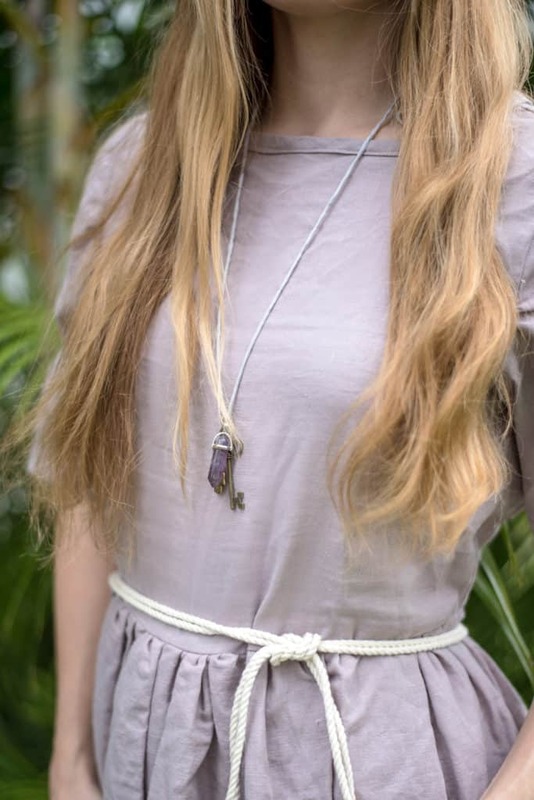 If you want to know more about the linen and pattern I used for the dress or the necklace I’m wearing, please visit last week’s post on how to make an Anthro-inspired necklace! So simple and beautiful! It’s perfect for a casual outfit. Thank you for the shout as well! I love the purple backdrop. Thank you! I need to actually make what I intended to sew with the fabric, but i’m loving it so much as a backdrop I don’t really want to!